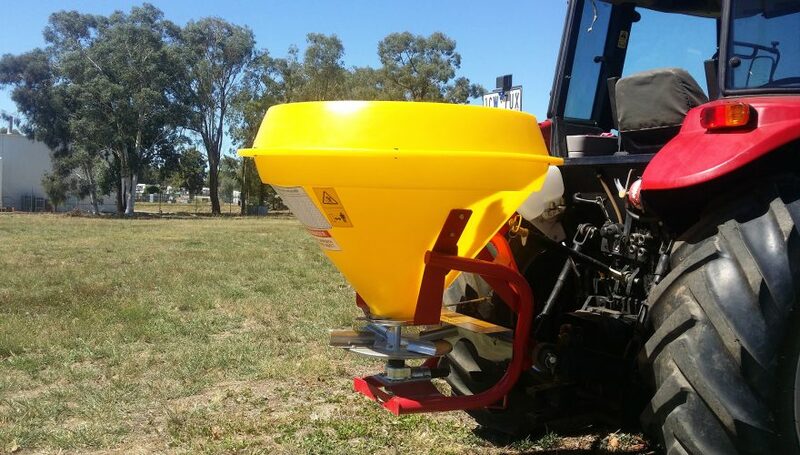 Choose a spreading system that naturally eliminates errors and produces outstanding results. Wind, driving errors and variation in fertiliser can combine to result in an uneven spread pattern. 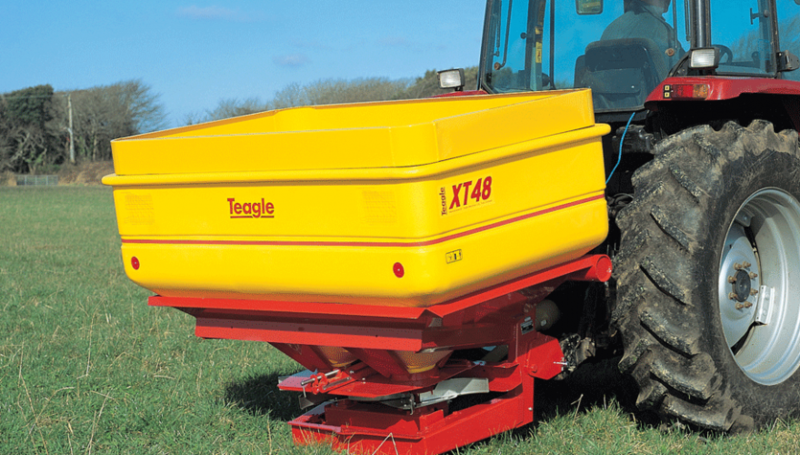 The gentle taper of the ‘triangular’ spread pattern produced by the XT distributes any error across the full width of the bout. 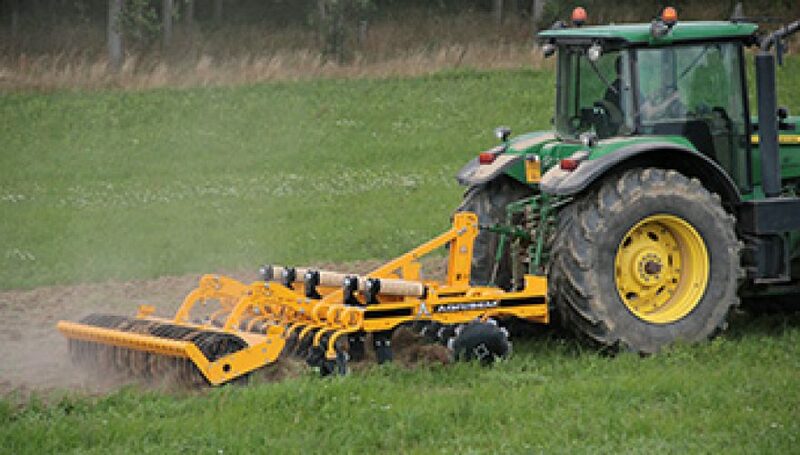 Conversely, outward spinning systems typically produce a trapezoidal pattern which focuses errors in the lapped areas and is more likely to result in striping. 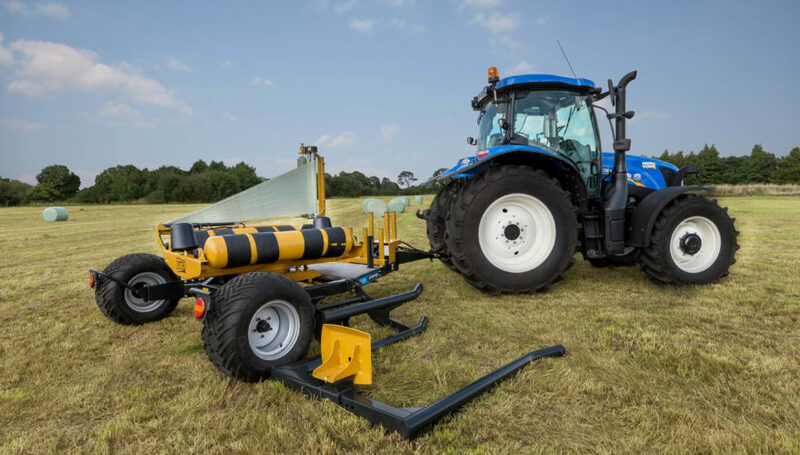 With our twin disc range a skew in the spread pattern from one disc is typically offset by an equal and opposite effect from the second spreading disc. 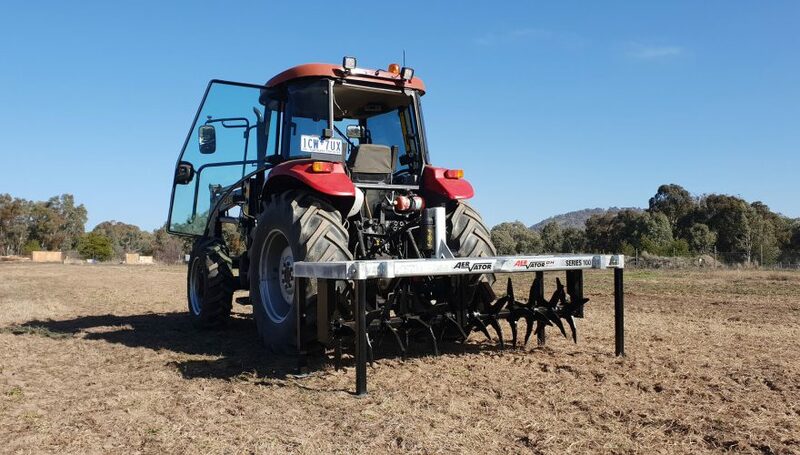 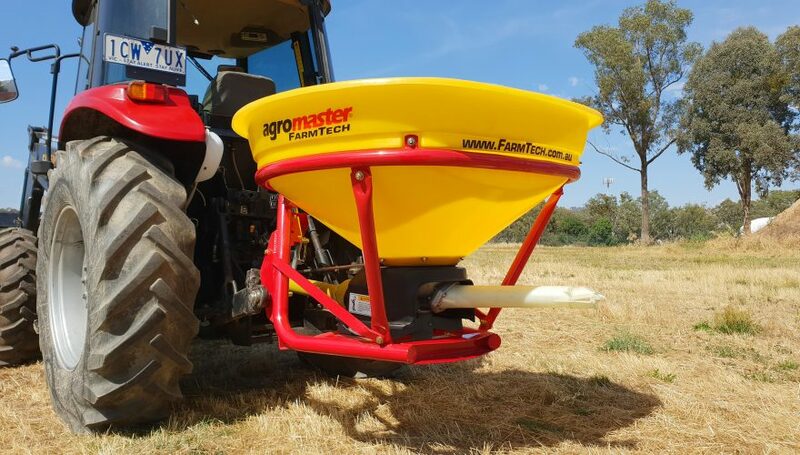 With our system it is straightforward to drive at the correct bout width by ensuring that fertiliser is thrown just as far as the last set of tractor wheelings. No rotors to change, vanes to adjust or spread widths to set. 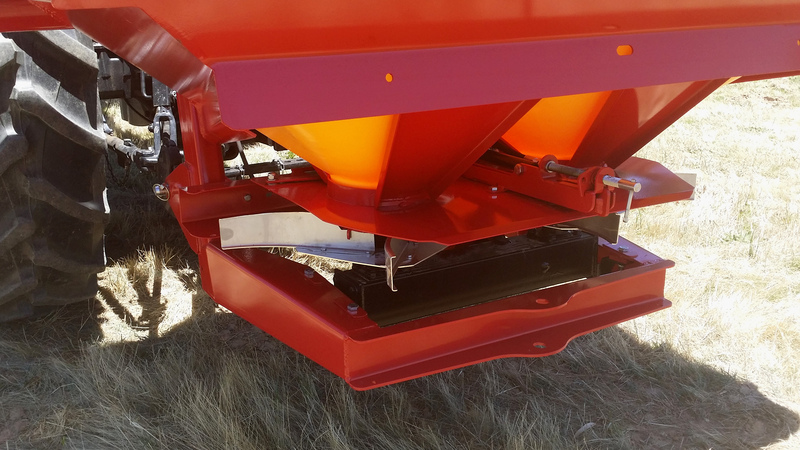 Simply adjust the spread rate as described in the instruction book and you are ready to spread. 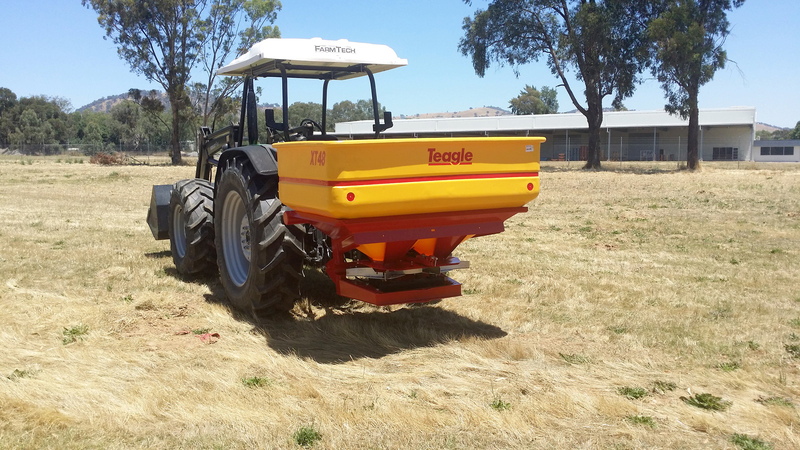 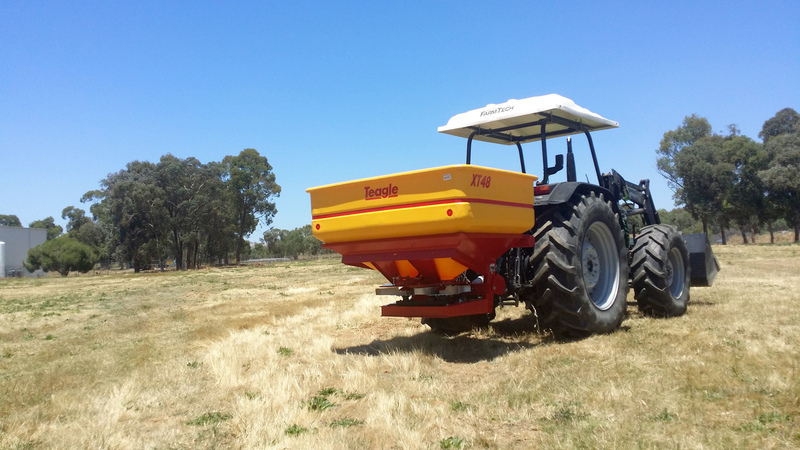 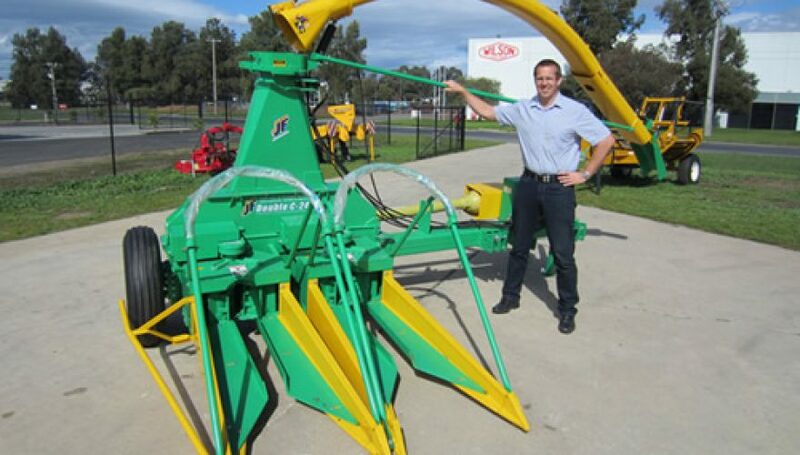 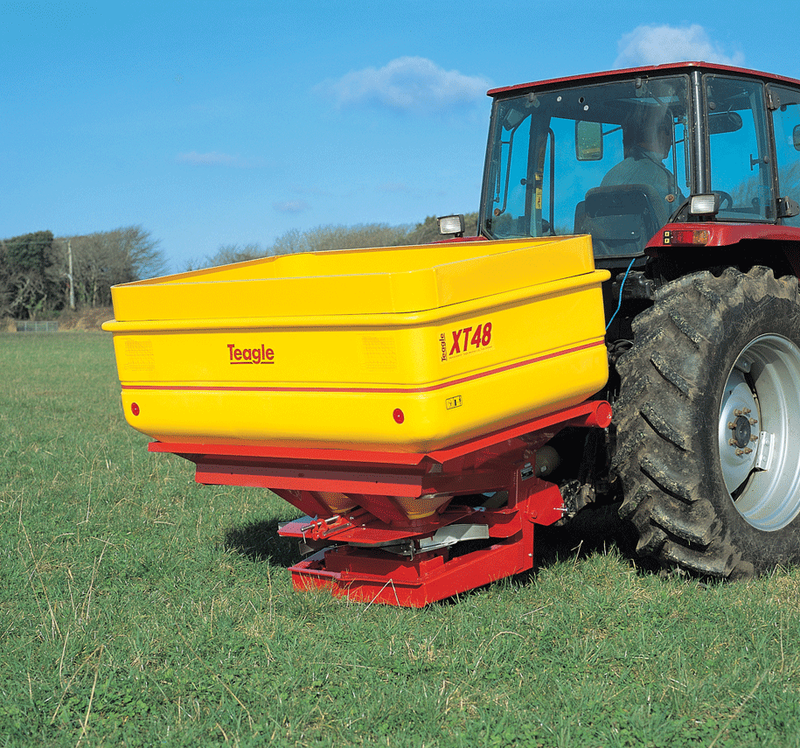 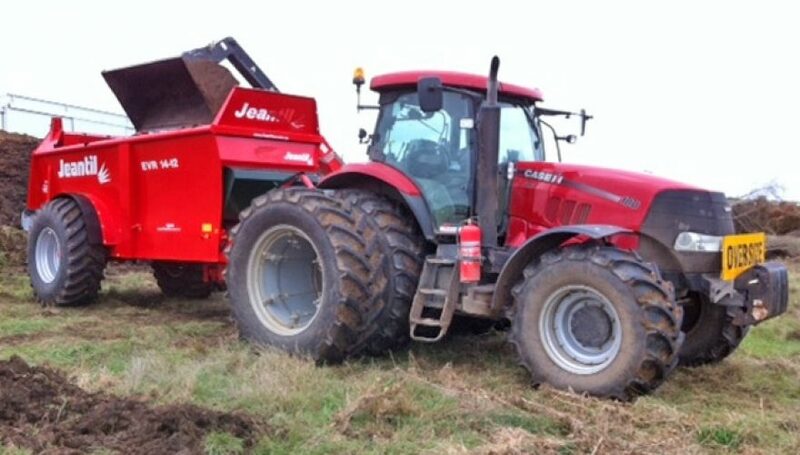 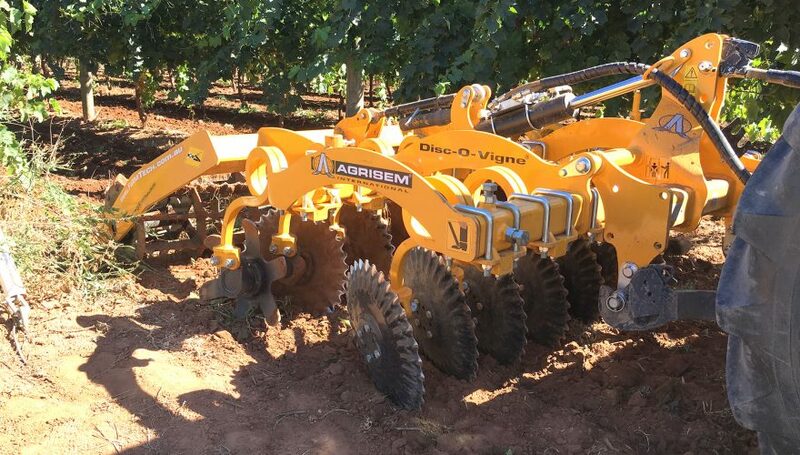 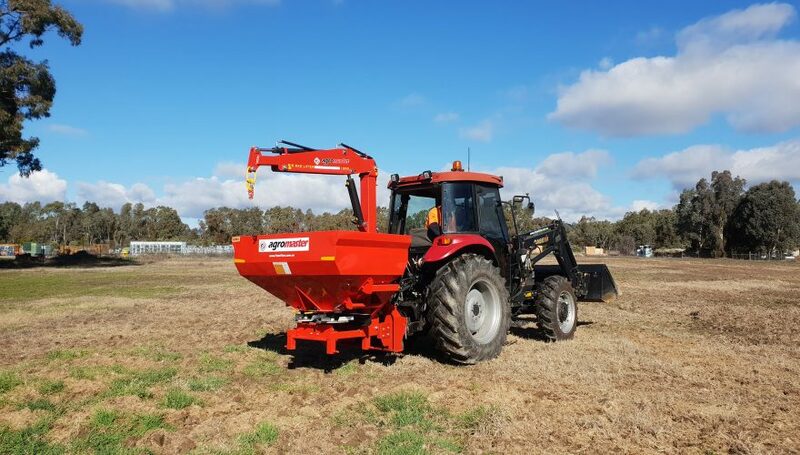 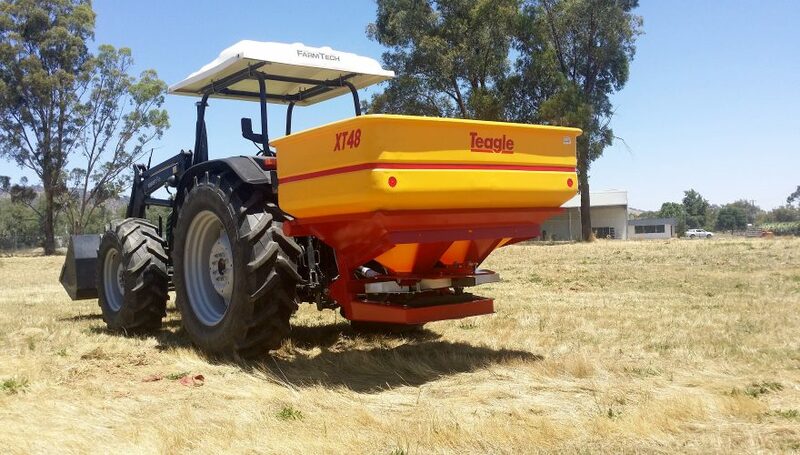 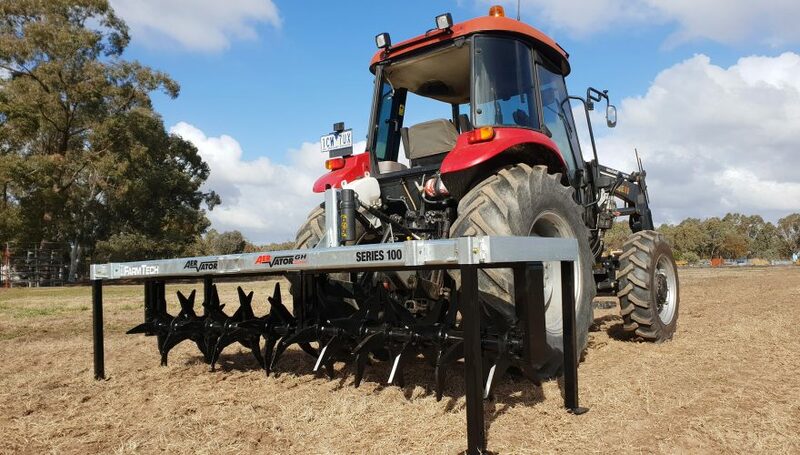 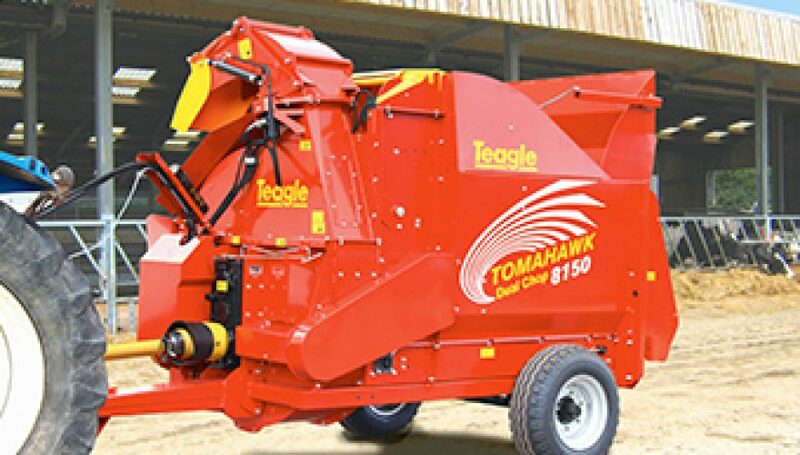 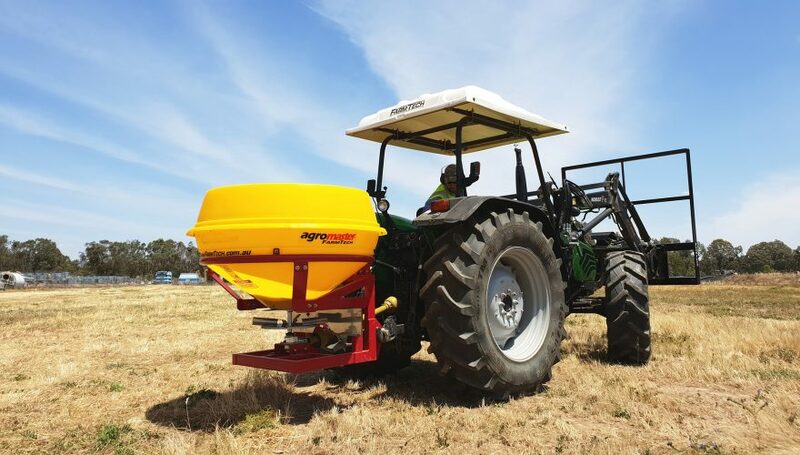 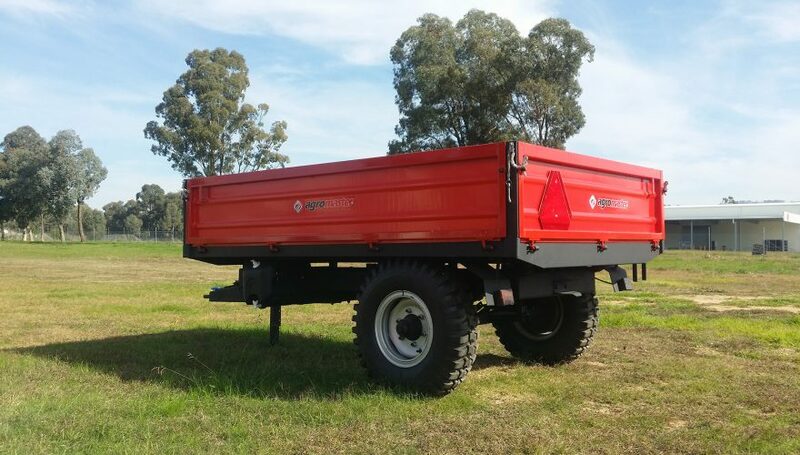 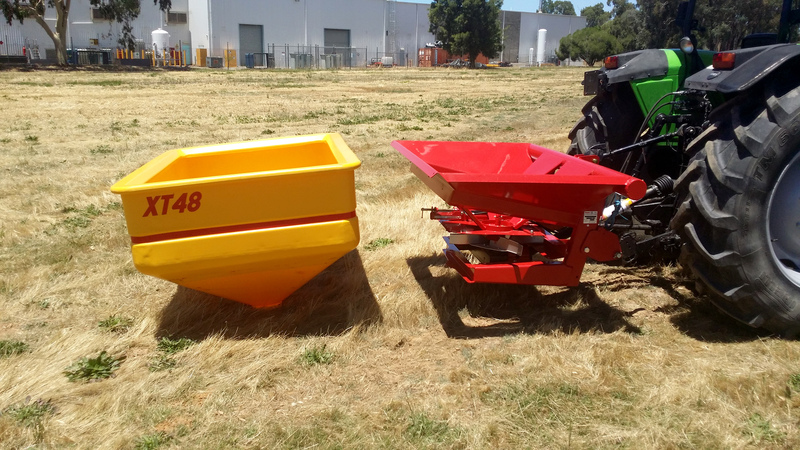 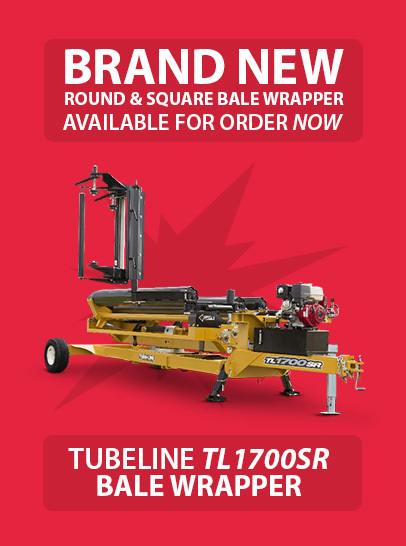 Also suitable for spreading grain, grass and seeds at a reduced bout width. 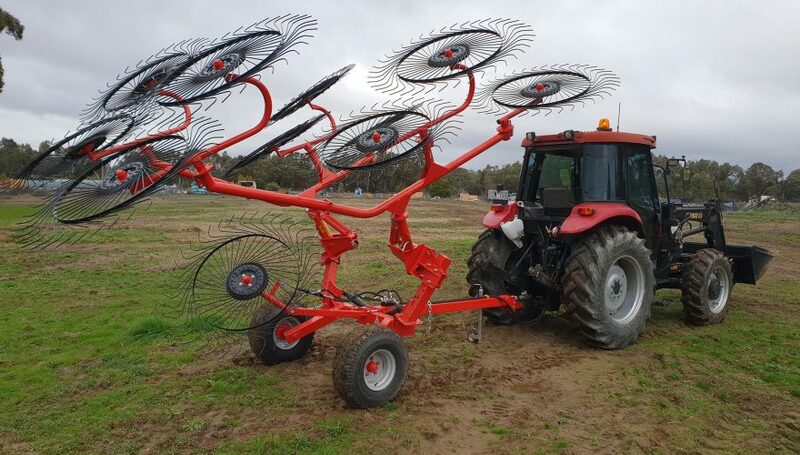 Available in band spreading configuration. 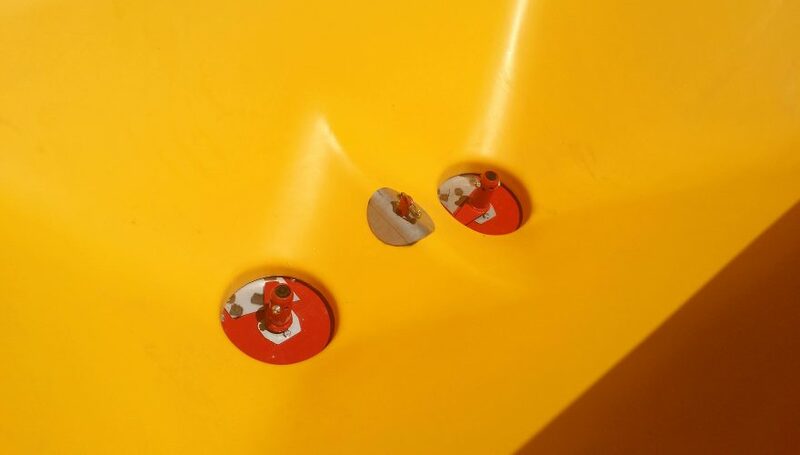 Corrosion Resistance, stainless steel shutter and rotor. 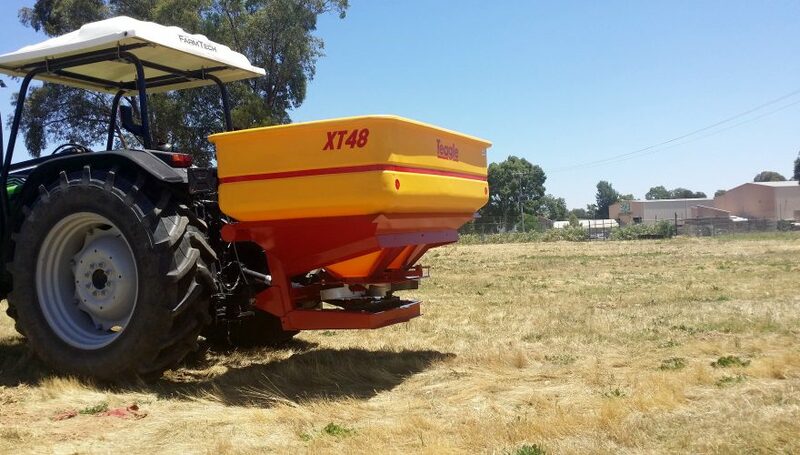 Hydraulic Shutter Control as standard on XT48 and optional on the XT24.